Do you want furniture that is designed to what you need? 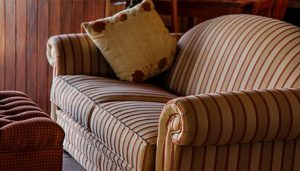 Whether you are moving into a new house or refurbishing, you want furniture that is made for you. Your style and taste must reflect not only in your clothes but also your home. So why not have your furniture made according to your desires. Finding a company that can give you what you need is not as hard as you may think. Before you decide upon a company make sure they are experts in this field, as you want furniture that will last a life time. You need a company that can see your vision and inspiration. Furniture designed for you, according to your flair can add a unique perfection to your home or even your office. Keep in mind the purpose of each piece as well as comfort and professionalism. Whether you start in the kitchen, lounge or dining room, each piece will be special. Add one at a time as you can, or do the whole room in one go, the option is yours in the end. Maybe you would like to add a great piano or grandfather clock as well? You can start small with a black coffee table or a TV cabinet made from oak or cedar. Whatever your heart desires can be done via professionals. The same will apply to your office as office furniture makes a great impact while adding benefits. Your office furniture can be made according to your individual need, saving you space while providing comfort at the same time. Use a company that listens to your ideas and only gives you good quality advice. Some may try to change your mind, where a great furniture company will only give you great suggestions, to improve your ideas. It is after all your home and your office, thus it ought to reflect your personality, right? Just as you hang specific picture or paint each room a certain colour, with décor that you prefer, showing your unique panache. Your furniture should also portray your inner desires. Your chairs must be comfortable to you not everyone else, but to you, as you will be spending the most time in them. Whether you have limited space or enormous rooms, furniture ought to be fitting for the space. Well-crafted and designed furniture can add elegance while still being multi-functional. You must not feel pressured into accepting a design and the final product must not make you feel cramped or depressed. Using experts for assistance is recommended as they have the knowledge and skills to give you a product that is versatile, sophisticated and according to your request. A great furniture designing company will not run circles around you, they will let you know from the start if your design is practical or not. They will give you options for improvement while keeping your concept alive. Whether you only need one small table / dresser, maybe you require a complete lounge suite / dining room set; your furniture can be made to fulfill your desires. Visit Peter Ross Enterprises and order your furniture according to your needs today. © Copyright 2017. All rights reserved by | » Do you want furniture that is designed to what you need? Peter Ross Enterprises Melbourne | Website Designed by: Netwizard Design.